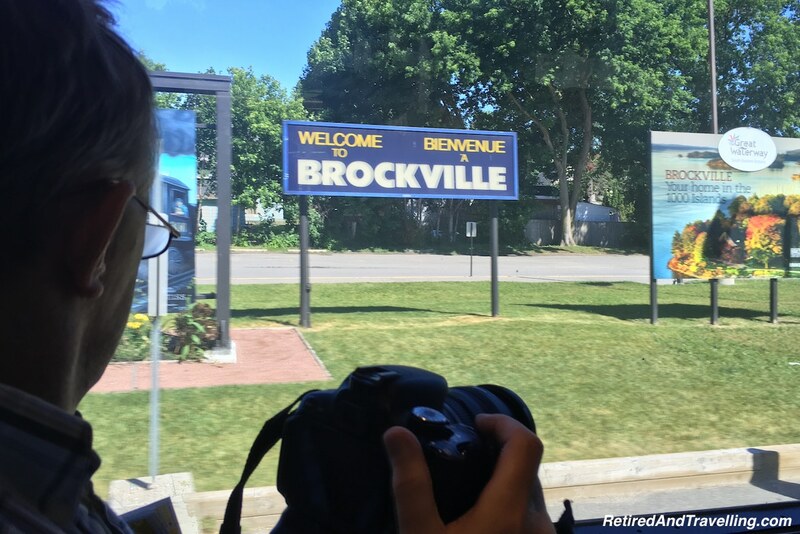 We were headed to Ottawa for the Canada Day celebrations and to visit one of our kids. With 3 kids spread across 3 different time zones, we get a chance to regularly see different parts of Canada. We would normally do the trip by car to allow ourselves to wander as we went. But this was a major long weekend in Canada and we were worried about the crazy holiday airport and road traffic. 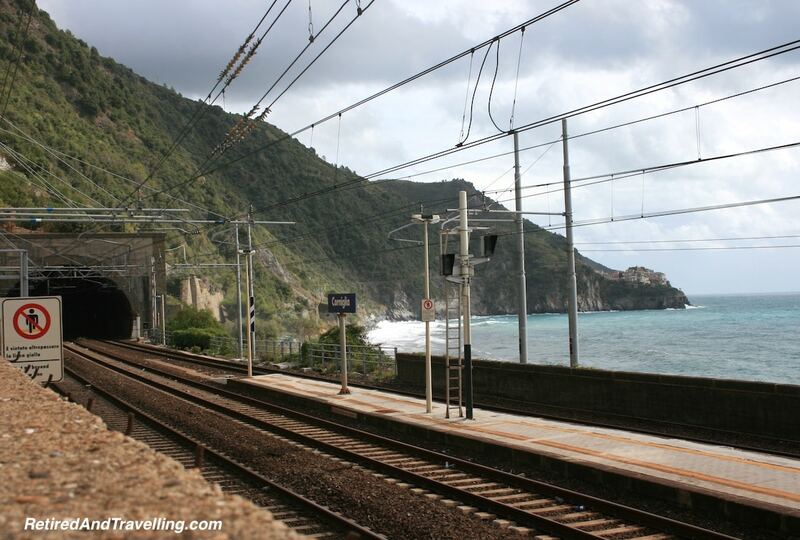 We figured that the train would be a good option for this trip. 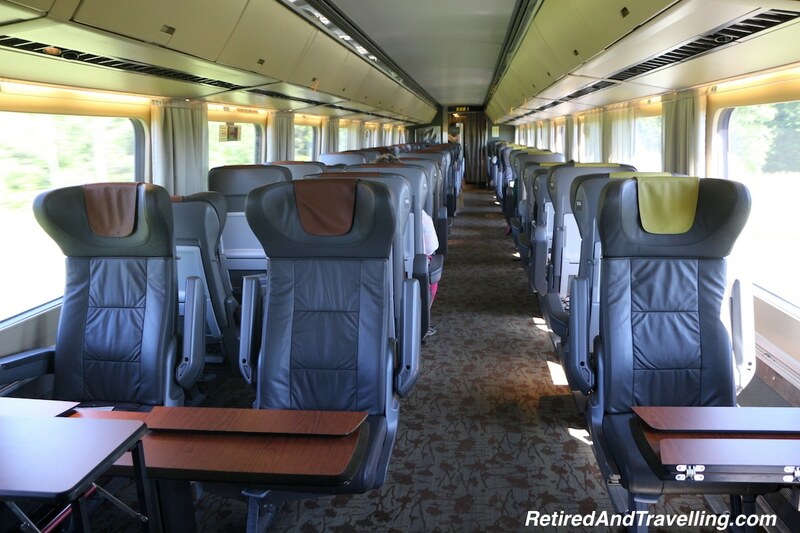 Was it worth going Via Rail Business Class? 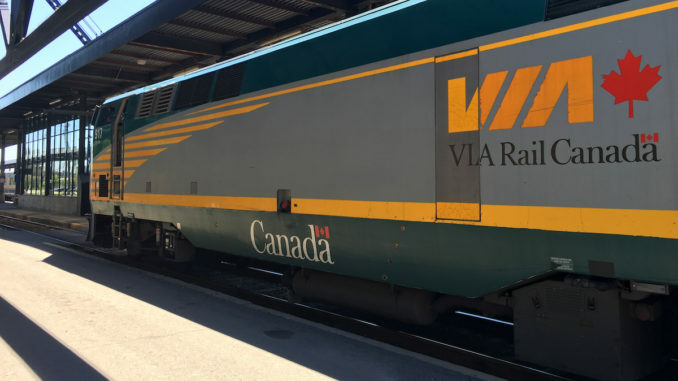 Via Rail runs several times a day between Toronto and Ottawa. The Escape class tickets are deeply discounted but there are restricted numbers available. There are then a couple of options at both the Economy and Business Class levels. 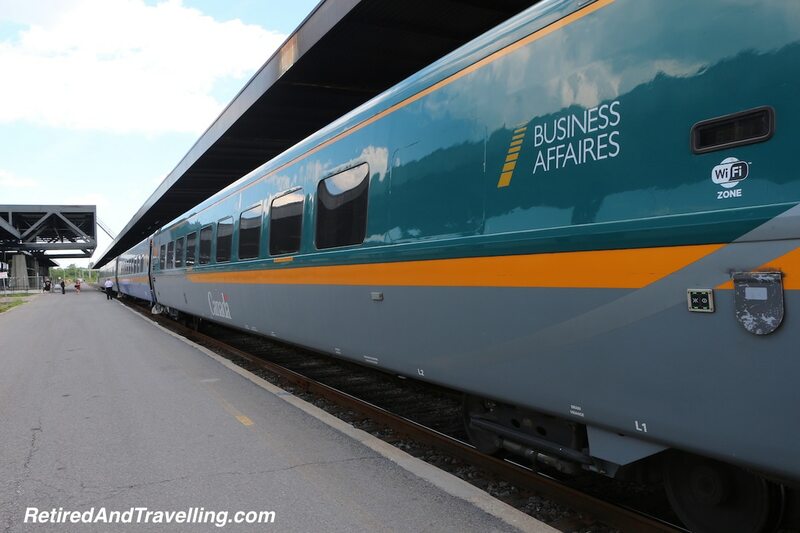 For many times of the day, Via Rail Business Class fares are not much more than regular Economy tickets while offering a more relaxing trip. 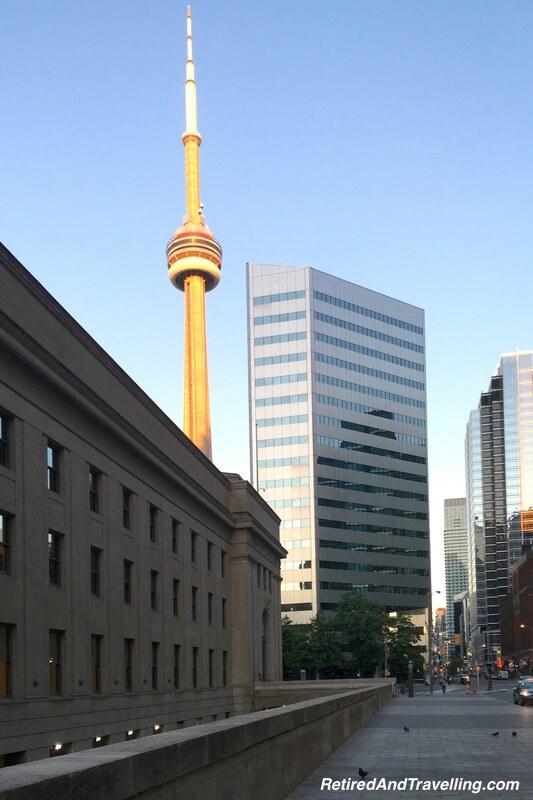 The cheapest train for the day left Toronto at 6:40 a.m. This would also give us most of the first day in Ottawa. With David’s discount as ex-military, the Business Class fare was just a bit more than driving but far cheaper than flying. 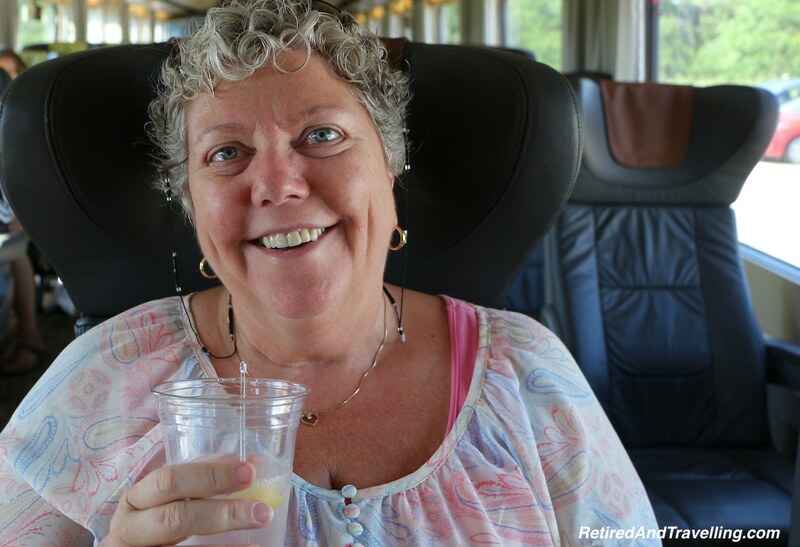 For this trip we decided to relax and take Via Rail Business Class. We managed to pack in our small rolling bags. Five days with ok weather and no fancy dress requirements kept our packing volume in check. I may have had almost as much electronics volume as clothes, but then this was a working holiday for us. I was not sure how successful we would be getting an Uber in Toronto at 5:30am, but there was one in our neighbourhood. We got picked up in a clean, new mini van and with no traffic were at Union Station in 12 minutes. Every ride I take confirms how much better an option Uber is! We would find the Uber service in Ottawa to be generally as good although one driver should really go back to driving taxi! We had ordered our tickets online and picked up our tickets in person a few days before our departure. David’s military discount required him to exchange his reservation for a ticket in person. If you buy a regular ticket, you could get an electronic ticket on your phone. 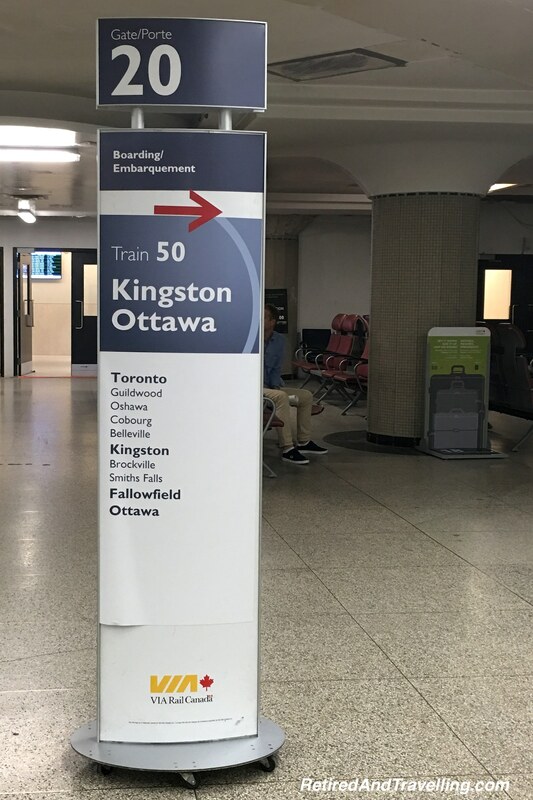 All regional trains go in and out of Union Station in Toronto. 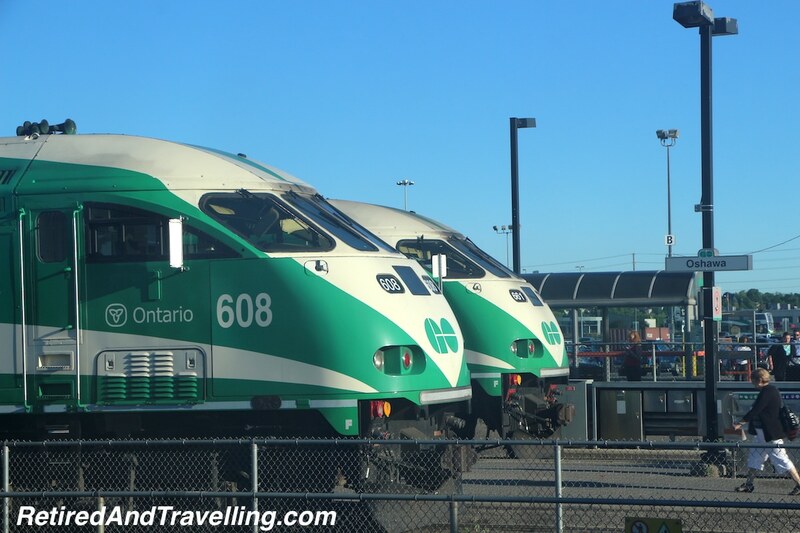 Union Station is also the major station for the Go Trains and Go Buses (commuter lines) as well as offering up a subway station. It is a very busy place during commuter hours. Union Station has been under construction for years as they improve the subway and Go Train platforms. There is still scaffolding in many of the corridors and main areas. This hides the view of what is a nice old train station. Before construction there was a broad range of stores,restaurants and services on the lower concourse level at Union Station in Toronto. Most of this has been closed during construction and I am not sure what is currently available inside the station. 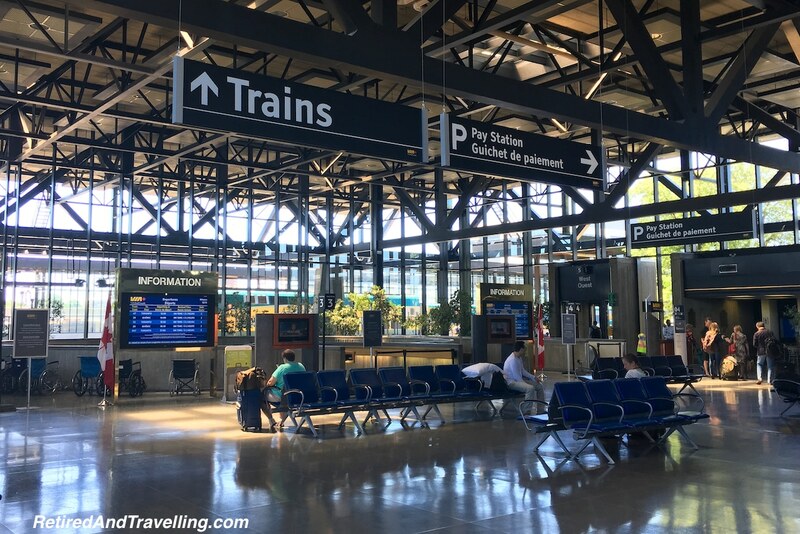 The main train station in Ottawa is a newer, more modern station but smaller station. 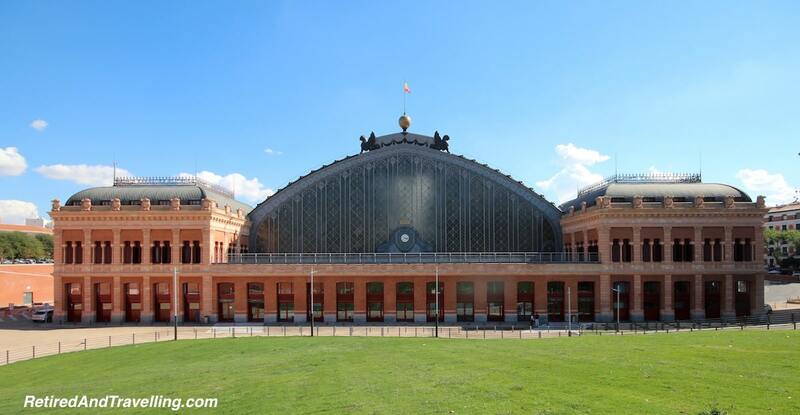 But the train stations in Toronto and Ottawa certainly are not the works of art we have found in Europe. 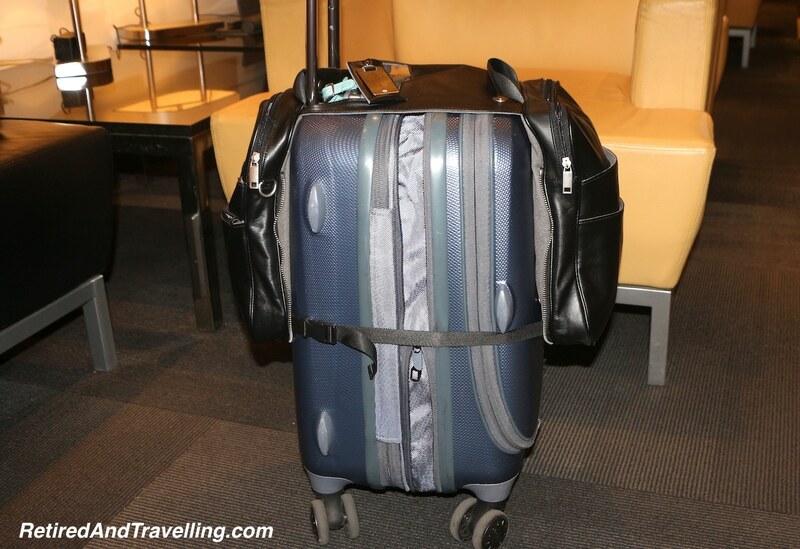 Like flying, one of the perks of rail travel by Business Class is access to the Business Class Lounge. 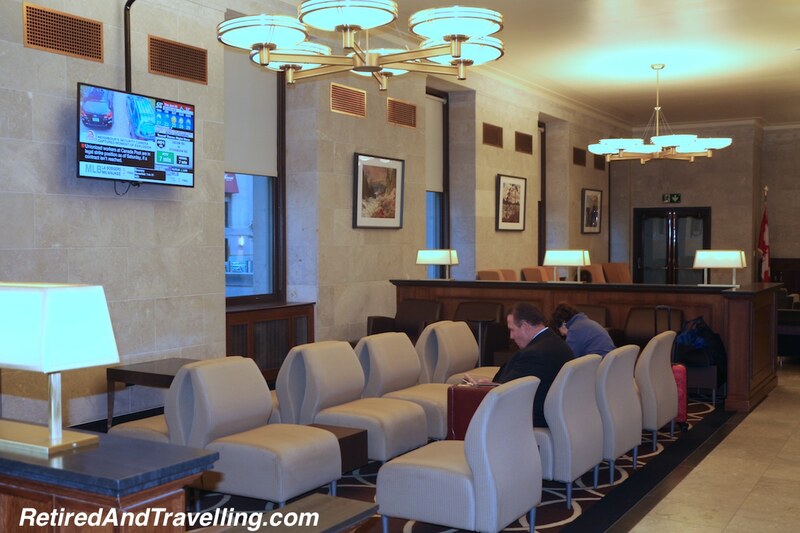 Unfortunately the Toronto Union Station Via Rail Business Class lounge only opened at 6 a.m. 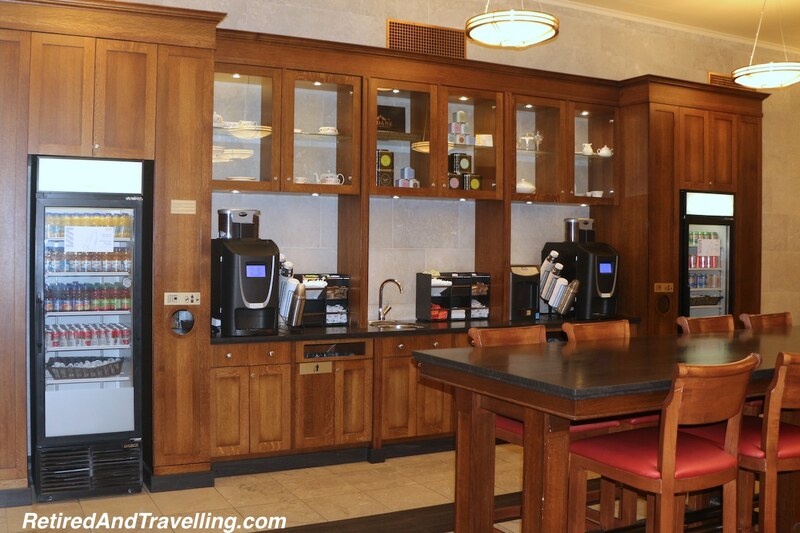 This would leave us little time to enjoy the lounge before walking to the departure gate for our 6:40am train. 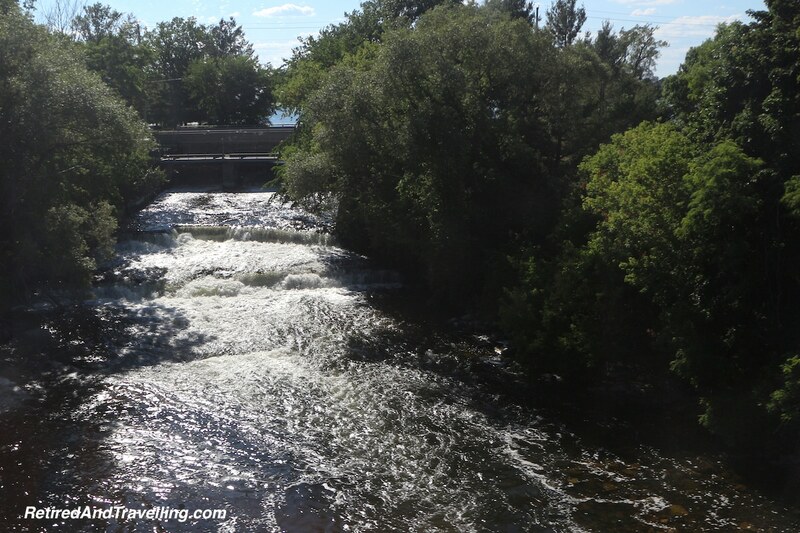 On our return trip from Ottawa, we had to check out of our hotel a few hours before our departure time. This meant we had a little time to set up in the Via Rail Business Class lounge to catch up on blogging and picture editing. 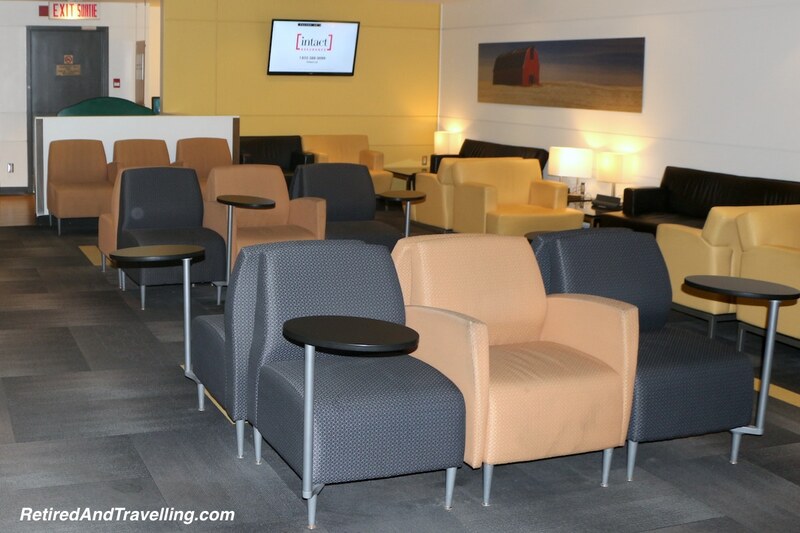 The Toronto Business Class lounge was very big with several different areas. 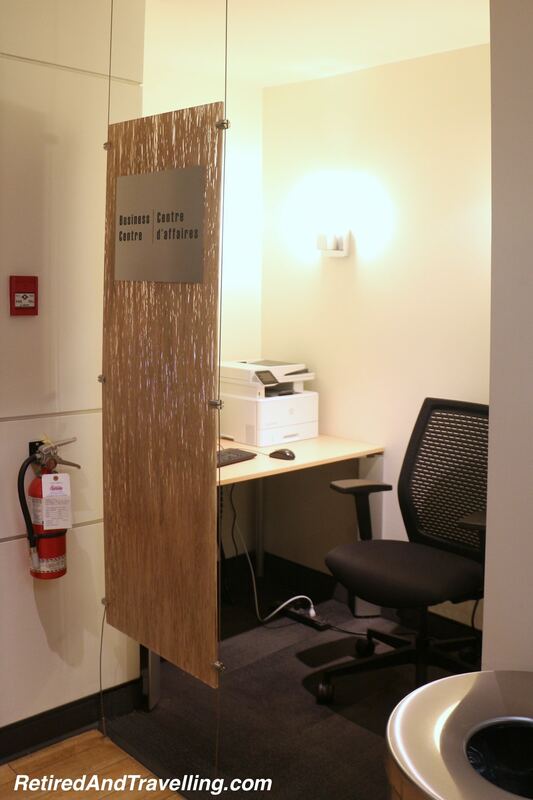 There were a couple of business centre spots with computers. The Ottawa lounge was quite a bit smaller but not full when we were there. 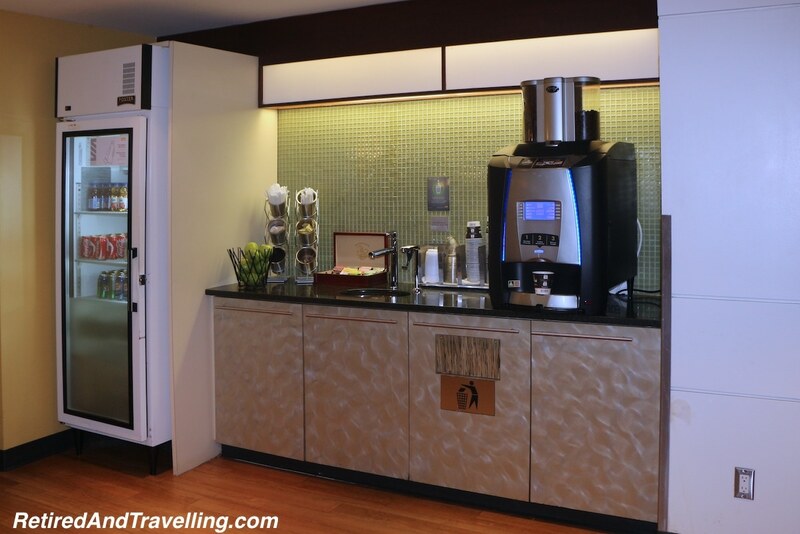 In the lounges in both Toronto and Ottawa, there is a beverage centre with a Van Houte coffee machine and a cooler with juices. I had hoped for a snack to go with my cafe latte but we found no food other than apples. About 15 minutes before departure in Toronto, the receptionist announced our train and we headed to the gate. There was no clear signage for Business Class boarding but a porter saw us coming and pointed to the escalator. Hauling my bag up the train stairs we prepared to settle in for the 5 hour train trip. Leaving in Ottawa, we were again directed to a separate door for Business Class boarding. The Via Rail Business Class car was clearly marked. We stored away our luggage and set up our electronics to work on the trip. There was power at the seats and slow wifi available onboard. For most of the trip, I would have online access if I had the patience to wait for things to load. The seats were broad and comfortable. With enough space to hold the electronic devices we were working with. When we looked in on the Economy seating, we were really glad for the much greater space we had to spread out. When the train hit speed there was quite a bit of rocking and shaking so not great for fine motor movements. Consuming content was great but input got stopped when the motion was too great. 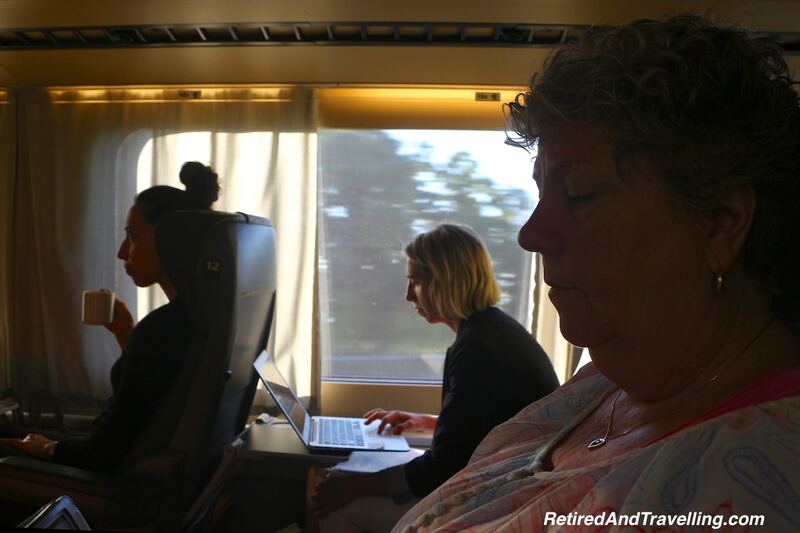 The porters in the Via Rail Business Class car were attentive. They came around several times to check on our drink needs and to clean up trash. 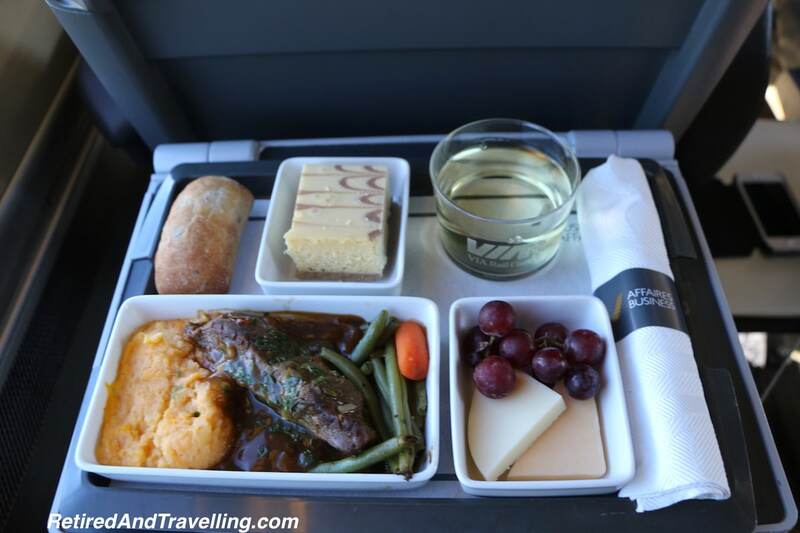 Business Class for the Toronto to Ottawa run includes a meal and drinks. The dinner time route had a well-stocked bar including Baileys for after dinner. Leaving Toronto, we had a good hot breakfast and the cold fruit plate looked equally as good a selection. The dinner option on the trip home was also pretty tasty with 3 different options. The coffee was as bad as I remembered from previous Via Rail trips but we were offered a great selection of teas. 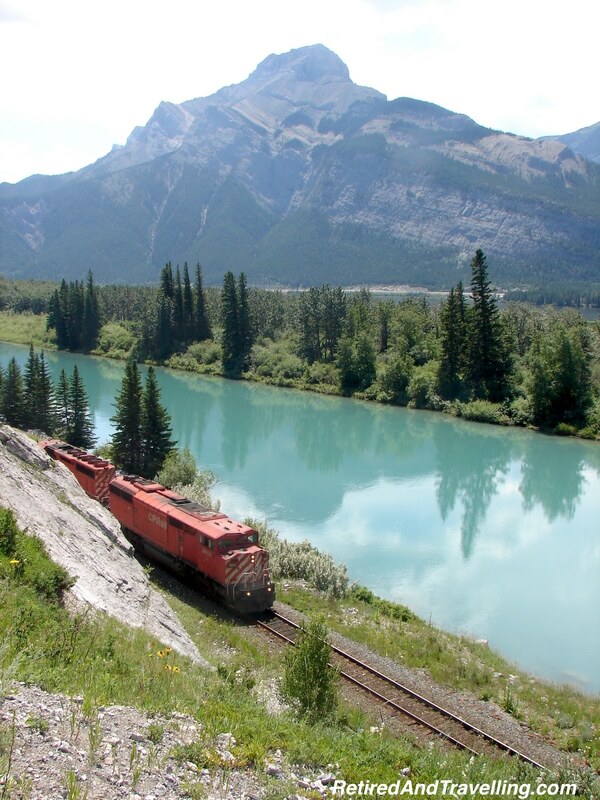 We have taken some trains in Europe and Western Canada where the views from the window kept us entranced. The view from Toronto to Ottawa could not complete. Closer to Toronto you might occasionally catch glimpses of the lake, but much of the run close to Toronto ran along the highway or Go Train corridors. 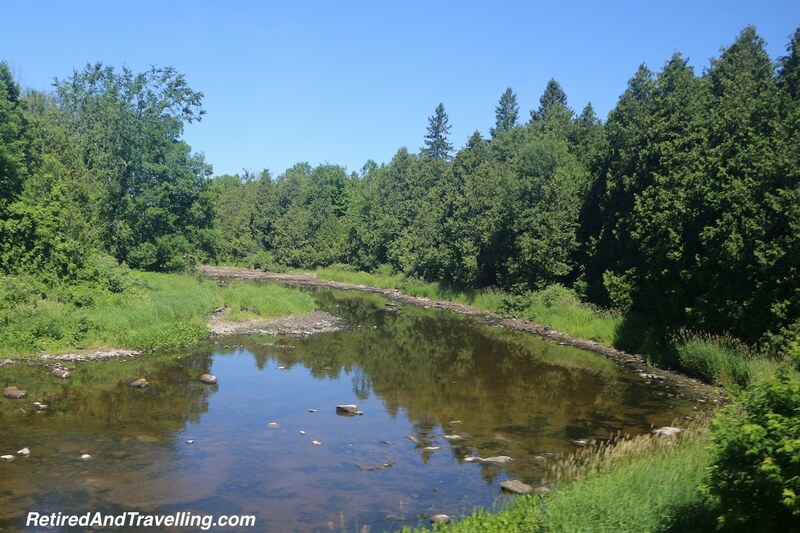 Outside of Toronto you generally got flat farm land or dense forests as your view. Going through Smith’s Falls you could just see the dam. A few times we slowed down going through small towns and we could see the cars waiting behind the gates at level crossings. Occasionally we would wave. 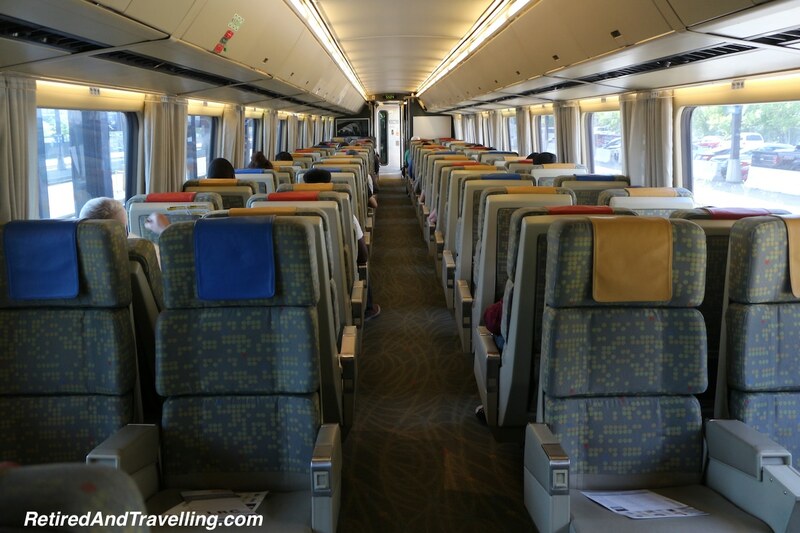 The train is a great option if you are going for a few days from Toronto to Ottawa. The train takes about 5 hours which is the same time it takes to drive, if you drive pretty much straight through. Without your car you won’t take any of the interesting detours you might along the route. But you won’t have to pay for parking if you are mostly spending your time walking around the central core. 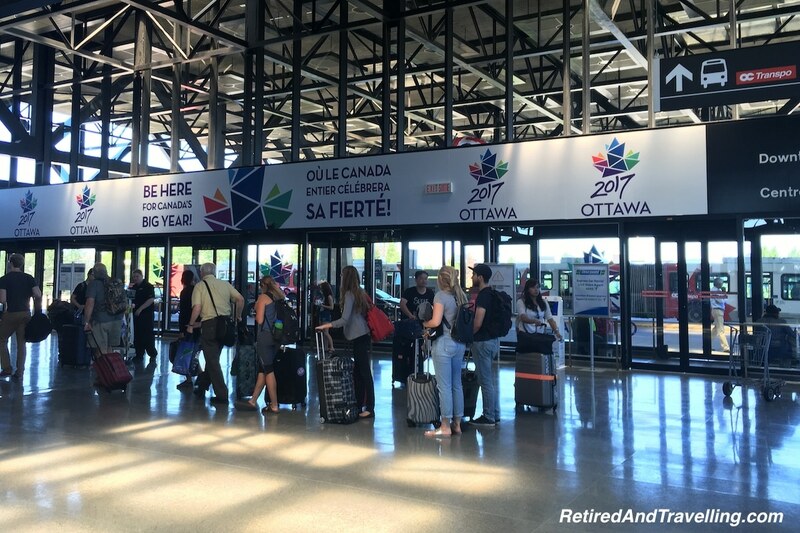 It is easy to grab public transit using your Toronto Presto card while in Ottawa, if you want to leave the downtown area. 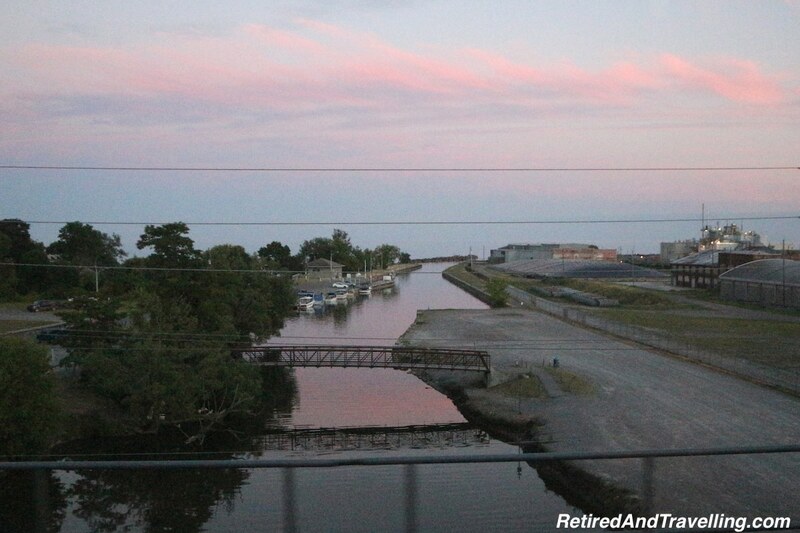 The Toronto to Ottawa train route is a regular commuter route. 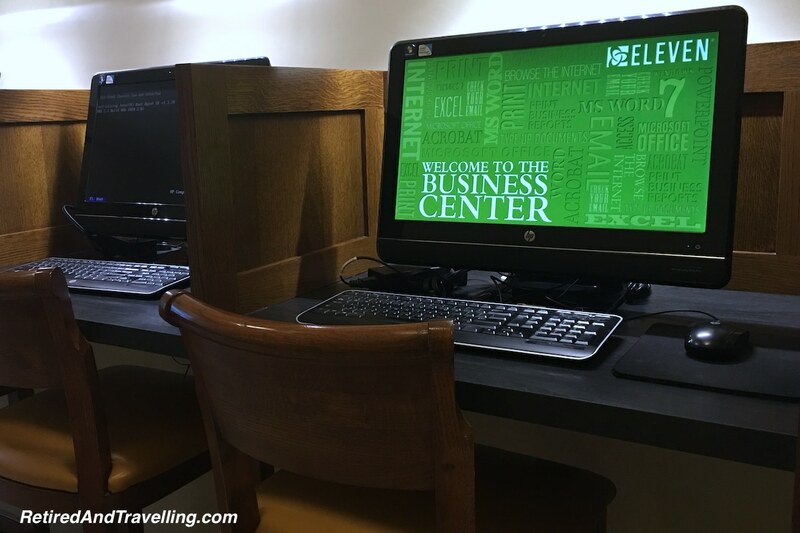 I am sure it is used by business travellers to get some relaxation or work done while in transit. As a commuter run, you would expect it to run on a pretty tight schedule. So we were quite unimpressed when our return trip was over 2 hours late getting into Toronto. 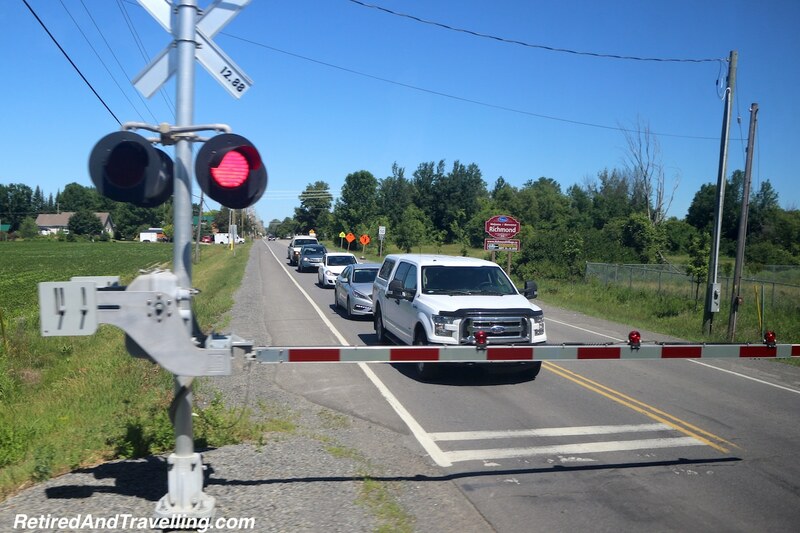 It seems that the passenger rail service in Canada has no priority over freight traffic and many times we sat pulled over for a long freight train to pass. Via Rail did a good job of updating our status as the delay kept increasing. They also provided compensation for the delay. But it was still a very long travel day! We would fly from Toronto to St Lucia later in that week faster than we have taken the train from Ottawa to Toronto! Via Rail Business Class on the train is not quite as refined as Business Class by air. But if you want a quiet place to relax or work before you board your train and in transit, it is a nice way to travel. 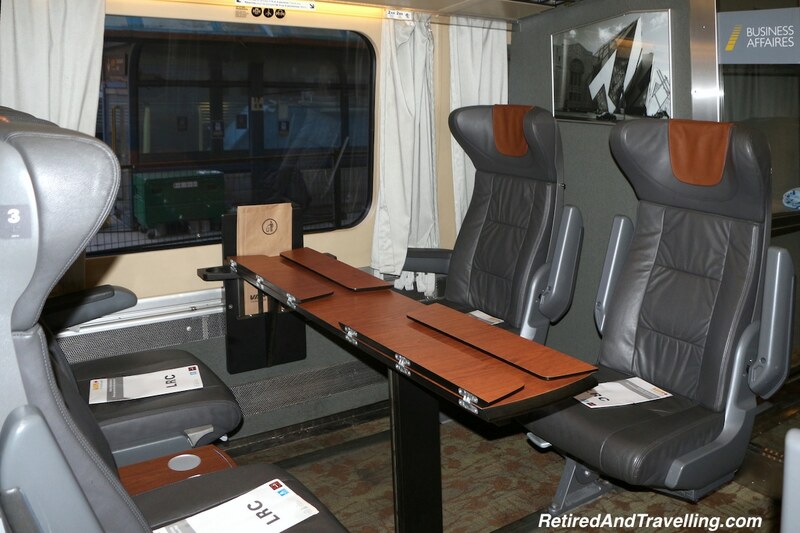 We would certainly take the Business Class train again if we were headed to Ottawa for events in the downtown area. If would be especially attractive in the winter to avoid driving in bad weather. So think about the train if you are planning for an Ottawa Winterlude visit! 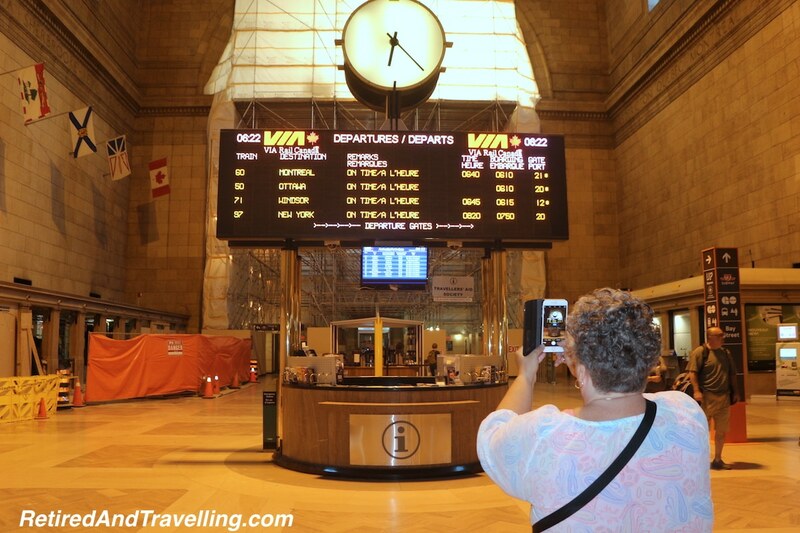 Have you tried Via Rail Business Class in the Toronto – Ottawa – Montreal corridor? What was your experience? Would you do it again? This might be a surprising comment, but the new business class on VIA is, in my opinion, not as good as it was before. Yes, the new product might have 2-1 seating, but the old seats were MUCH more comfortable in my opinion. You can now even buy the same food they serve in business in Economy if there’s any left over, and it’s really not all that expensive. Also, on trains 64, 59, 80, 82, and 83 try booking seating in odd-numbered cars (3, 5, 7) because 3 is sometimes a declassed business car, and 5 and, if it exists, 7 are HEP1 coaches normally used on long-distance trains such as Toronto-Vancouver, and thus have TONS of legroom as well as legrests, and while comfortable are VERY dated. If it’s a Renaissance train, don’t bother booking business because the sole difference between two (apart from having lounge access, food and booze included and access to a lounge car) is that the seat fabric and interior are different. The seats themselves (apart from the fabric) are EXACTLY the same. 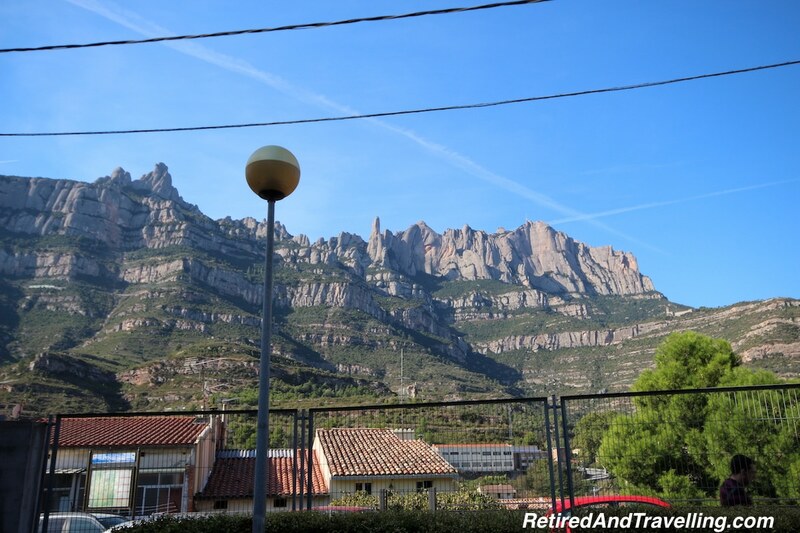 For long-distance trains, YES, go for the sleeping accommodations – worth every penny, even if you can only afford an upper berth.